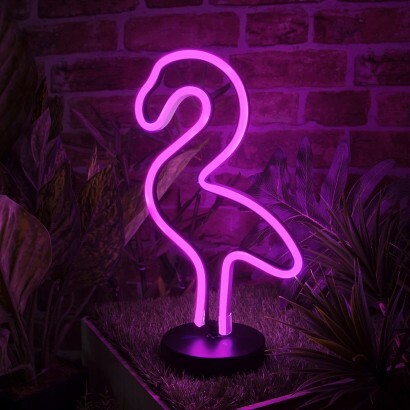 Achieve instant feel good tropical vibes with a kooky pink flamingo neon light! Designed to replicate the effects of retro neon lighting, LED neon gives the unique vibrant outline but uses LEDs instead of neon gas. 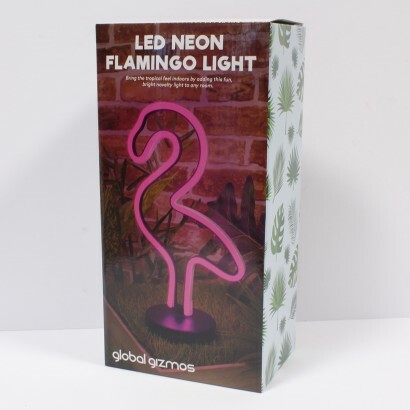 Playful retro lighting, this neon flamingo light is battery operated and so can be placed anywhere in your home for a relaxed summertime atmosphere all year round.